This is the longer term battery health screen and one of AccuBattery's most unique features. Each time you charge your phone we record the estimated battery capacity (you can see this in the 'battery capacity estimate' section at the bottom of the charging tab). During calibration we'll identify your phone model and look up the associated design capacity. If your phone model couldn't be found, if it's inaccurate, or if you bought a different battery that doesn't have the same design capacity, you can manually change the design capacity in the above mentioned section of the charging tab. How do we measure battery health? During charging, we constantly measure the power added to the battery and the level change, and with this information, we can create an estimate of how much energy can fit into a full battery. But as the charge level of the battery is hard to calculate, it isn't completely accurate, and multiple samples are needed to increase accuracy. You can see this process in the capacity estimate data points scatter plot, each dot is a single charge session. 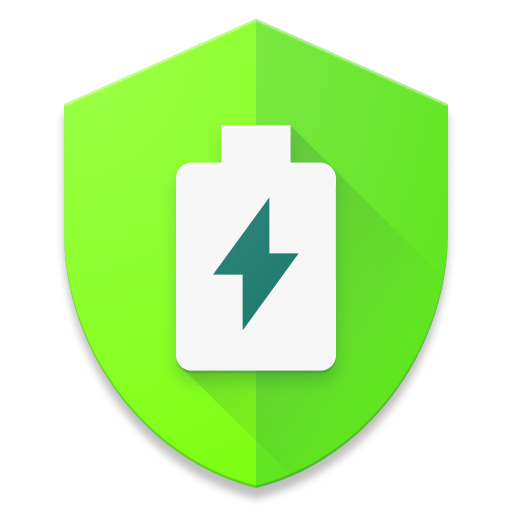 We use this data and calculate the estimated actual capacity and compare it with your design capacity to let you know how much your battery has deteriorated in percentage terms through our battery health bar. You can then make a much more informed decision on whether it's time to replace your battery or phone (if you have a non-removable battery). This battery from an LG G4 has 3000 mAh printed on the sticker, but from the data gathered, it seems to have degraded to only 75% remaining. *The above image is from the beta release and contains a typo: it should say 167 charge sessions and not 167 charge cycles. Lastly, we also track the wear of each charging session. This is summed up for each day and represented in the bar graph. Remember, to lower the wear and maintain your battery health we recommend that you stop charging at around 80%. Our charge alarm found in the charging tab can help remind you to unplug at the right moment. The health screen is empty! If the charge current measurement (see charging screen, top progress bar) moves during charges, you just need to wait for AccuBattery to gather some more data. As said above, we only use charge sessions with at least 20% charged to increase accuracy. Battery manufacturers usually guarantee at least 300 charge cycles before end of life (~20% capacity loss), to ensure they hit this limit, some batteries have start with a capacity larger than specified on the battery. There are also manufacturing variation between each batches, the stated capacity doesn't have to exactly match the measured capacity. For example, Sanyo Eneloop Pro's specs are 2550 mAh typical, 2450 mAh minimum, and how much actually fits into you sample depends a bit on luck. Well, same answer as above - the stated capacity is just a typical capacity for the model, it doesn't have to exactly match the battery you're holding. In addition to the manufacturing variance, all batteries degrade with usage and time. The chart below is the data from an experiment from Choi 2002, the tested battery's design capacity is 900 mAh, but they actually started at 950 mAh (106%). If you charge once per day, you're expected to lose about 15% of capacity per year, but the exact number depends a lot on the battery chemistry and how you charge it (full charges overnight or only partial charges). We can't restore lost capacity with an app, but by charging only to 70 or 80%, you can reduce further damage to the battery. For more details on how charging degrades your battery over time, please visit our methodology and research page.